Ireland finally defeated Afghanistan for the first time this tour, courtesy of an Andy Balbirnie special, to level the series as both teams play each other in the fourth ODI on Friday. While Balbirnie single-handedly won Ireland the match, Afghanistan will be looking to exact revenge on the Irish with none of their bowlers able to restrict Balbirnie and Dockrell as they strode home to a famous victory. With Dehradun playing host once again, will the Afghan spin troika fight back or will the Irish deal another stunning blow to their counterparts? 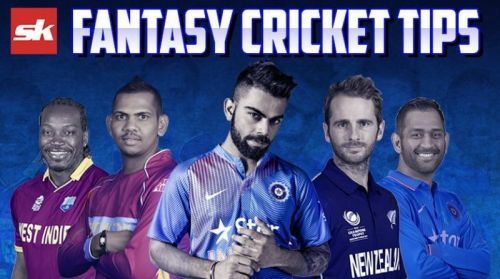 Here are a few tips to help you pick your Dream11 team. With the series up for grabs on Friday, Afghanistan should revert back to their strongest possible XI which should see the return of Gulbadin Naib instead of Samiullah Shenwari. Najibullah Zadran's impressive hundred did take Afghanistani total past the 250 mark but the bowlers had an off-day as they weren't able to influence proceedings in the middle overs. Much is expected of Mohammad Shahzad, who hasn't looked in his elements in his two outings so far. Possible XI: Shahzad (WK), Zazai, Shah, Shahidi, Afghan(C), Nabi, Najibullah, Naib, Rashid, Mujeeb and Dawlat. Ireland shouldn't be tinkering with a winning combination with spin-twins, McBrine and Dockrell, fitting in nicely into their plans. William Porterfield has been struggling against the off-spin of Mujeeb, which could see a shuffle in the batting order to safeguard the captain from the inevitable. James Cameron is set to keep his place in the side after a tidy shift on Tuesday while the onus will once again be on Boyd Rankin to deliver up front with the ball. Possible XI: Porterfield (C), Stirling, Balbirnie, Simi, Kevin, Dockrell, Poynter(WK), McBrine, Murtagh, Cameron and Rankin. Apart from the first ODI, where the Irish weren't able to apply themselves against the likes of Mujeeb and Rashid, the pitch has played well with scores in excess of 250 achieved in the succeeding three innings. Spinners are to play a major role in the middle overs with turn on offer while the pacers should also get some help early on. Wicket-keeper: In spite of his shortcomings, Mohammad Shahzad still remains one of Afghanistan's best and should be backed to come up with a good innings against an upbeat Ireland side. His work behind the wickets is also quite good, which could fetch additional points to the fantasy points tally. Batsmen: Hazratullah Zazai and Paul Stirling have consistently gotten off to good starts but haven't converted them. With a potential do-or-die game for both teams, both of them could come off, making them great selections for the fantasy team. Andy Balbirnie's incredible knock in the previous match warranties a place for him while one of Ashgar Afghan or Rahmat Shah could also be a viable option. All-rounders: Mohammed Nabi and Simi Singh are the perfect players to have in the side with their spin bound to yield a wicket or two, along with their ability to maneuver the score in the middle overs. Bowlers: Rashid Khan, Mujeeb ur Rahman, Boyd Rankin, and George Dockrell are the ideal set of bowlers to have in the side with all of them in good wicket-taking form. Mujeeb has been consistently picking wickets in the Powerplay overs while Dockrell and Rashid are the go-to bowlers for their respective sides. Tim Murtagh could also be picked at the expense of Boyd Rankin, to facilitate the selection of more established batsmen in the side. Captain: Mohammed Shahzad and Paul Stirling are capable of blowing away oppositions with their attacking brand of cricket, making them viable options for the mantle of captaincy. Mohammed Nabi has been relatively quiet in the ODI series and could tee off in the fourth ODI.